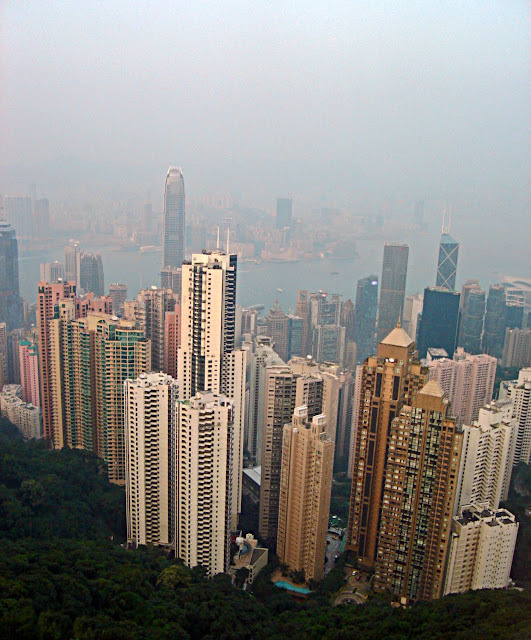 These are photographs of the skyscrapers in Hong Kong. 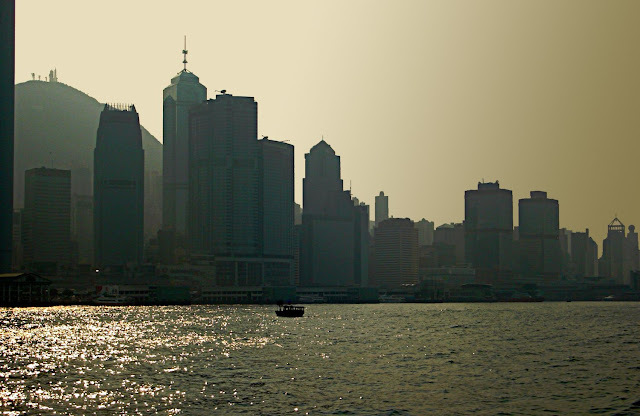 This is a photograph taken at dusk and you can see Hong Kong buildings silhouetted against the dull sky. In this picture you can see the tall skycrapers of Hong Kong in the foreground and in the distance too. There is a bay inbetween. These look like residential buildings mostly. 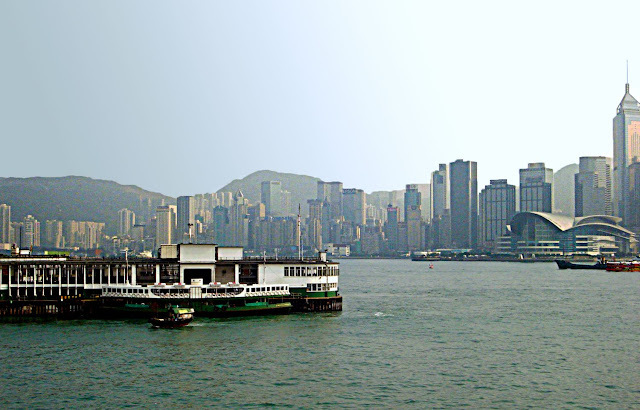 A photograph of the Hong Kong skyline. Or Shanghai skyscraper sketches and silhouette or the Shanghai Skyline by night. More: Beijing photographs and skyline.